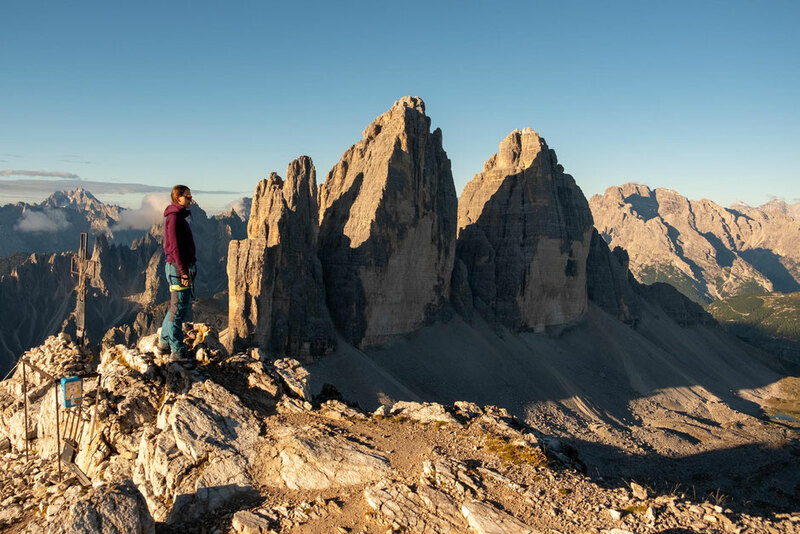 If you want a unique view of the famous Three Peaks (Tre Cime) unobscured by the crowds they attract, then via ferrata De Luca/Innerkofler is your answer. Connecting rifugio Locatelli and Forcella Lavaredo, this via ferrata is the perfect answer to those seeking challenge in the mountains, beyond hiking trails, wanting to jump into the vast World of the Italian via ferratas. Monte Paterno/Paternkofel looking very intimidating. The fastest approach to rifugio Locatelli, where the via ferrata starts, is via path 101 running from rifugio Auronzo. The latter is accessible by car via private paid road. It isn't cheap (30 Euro/car, 45 Euro/campervan) and the control gate, where you can purchase your pass is one kilometer past lake Antorno, on the way to the rifugio. 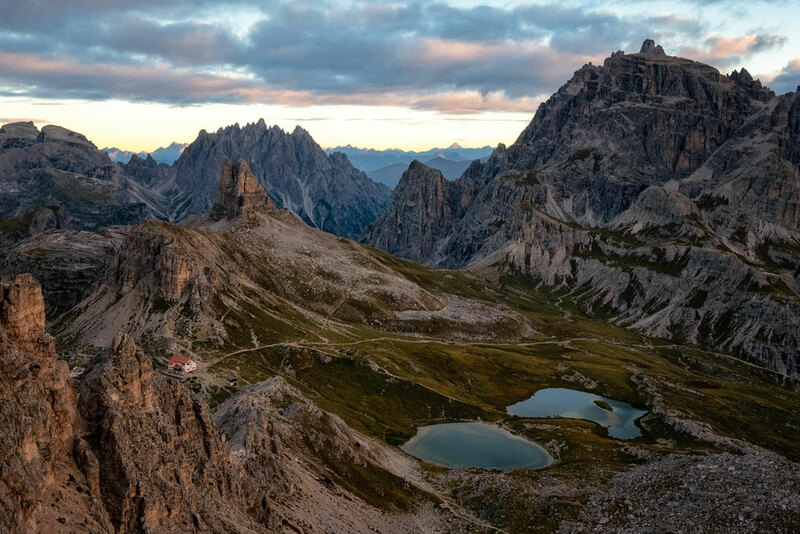 To avoid the cost you can catch a bus from either Misurina, the nearby town, or the bus stop directly near lake Antorno, opposite the only building (a hotel) you can find nearby. The return trip for a bus costs only 8 Euros and runs regularly throughout the day in the summer season. 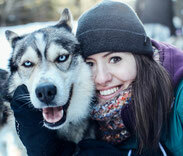 It takes ca 1-1,5 hour to walk from rifugio Auronzo ro rifugio Locatelli. The tunnels: In the beginning you will follow a network of tunnels, or a few hundred meters, built during the first World war. You will need to bring a head torch for this part, especially if you want to avoid bumping your head. The light coming through few existing windows isn't enough to guide you through. Luckily there is only one way in and out so as long as your are going up getting lost is impossible. The ledges: This is where the cable protection begins. Make sure to clip in. Unfortunately people have died along this via ferrata, and there are few plaques mounted to the wall to remind everyone of it. I always say it is better to be safe than sorry. 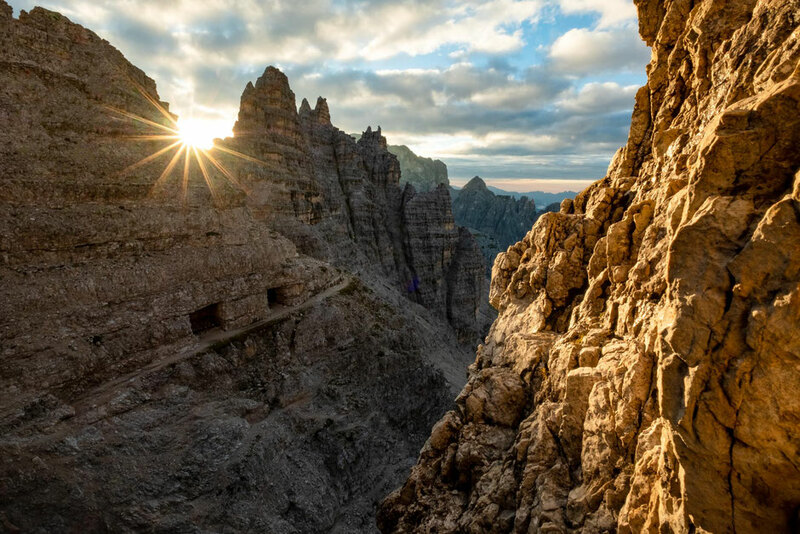 The summit push: once you make it to the saddle picture below (forcella del Camoscio) you will have an option to veer off the path and summit Monte Paterno. If the weather is good, I highly recommend it. The views on the top are nothing short of spectacular and it would be a shame to put all this work and not go for the ultimate reward. 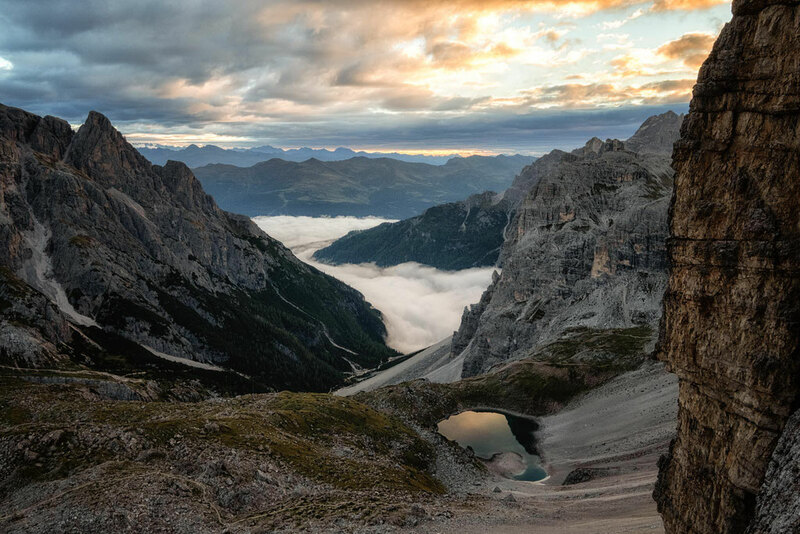 The descent from the summit follows the same route down to Forcella del Camoscio. 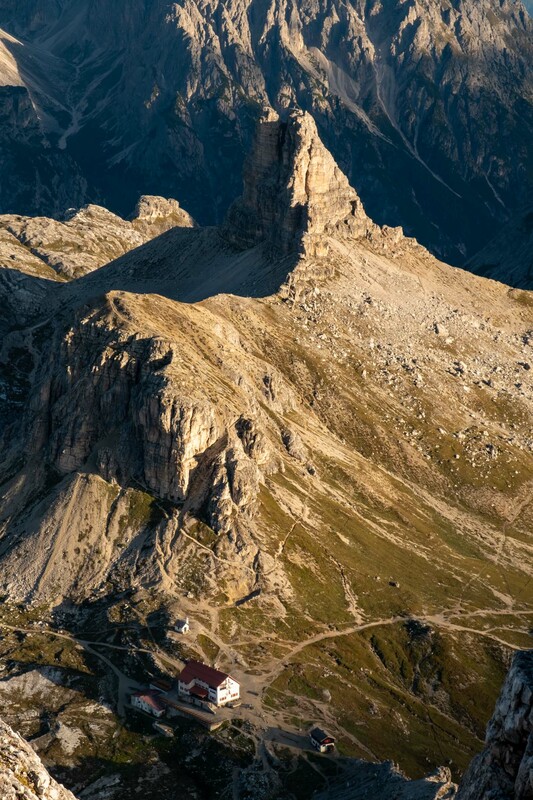 From here you will have to follow the signs for rifugio Lavaredo/Auronzo, sharply down on a scree path. Pay attention to the path. Due to big traffic it became braided in places and it's not too obvious. A map comes in handy (Tabacco nr 10 or Tabacco nr 1), especially if you aren't very good in direction orientation. I am probably making it sound harder then it is, so don't worry. I always found it hard to get lost in the Dolomites as markings and signs are always excellent. 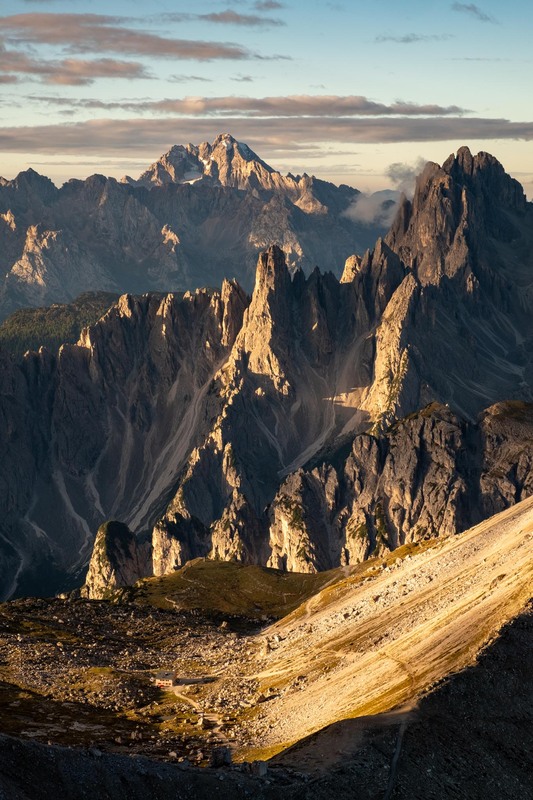 Next, after following a series of exposed ledges you will pass the saddle between Monte Paterno and Croda Passaporto. 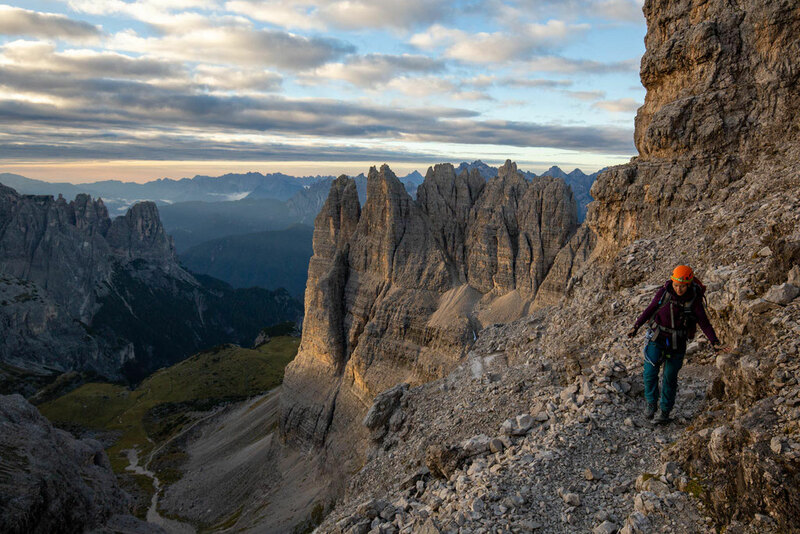 Forcella Lavaredo right beneath Tre cime (three peaks) will now be within your eyesight. Continue along the ledges, past two short tunnels and around 20 minutes later you will get to the finish of the ferrata. 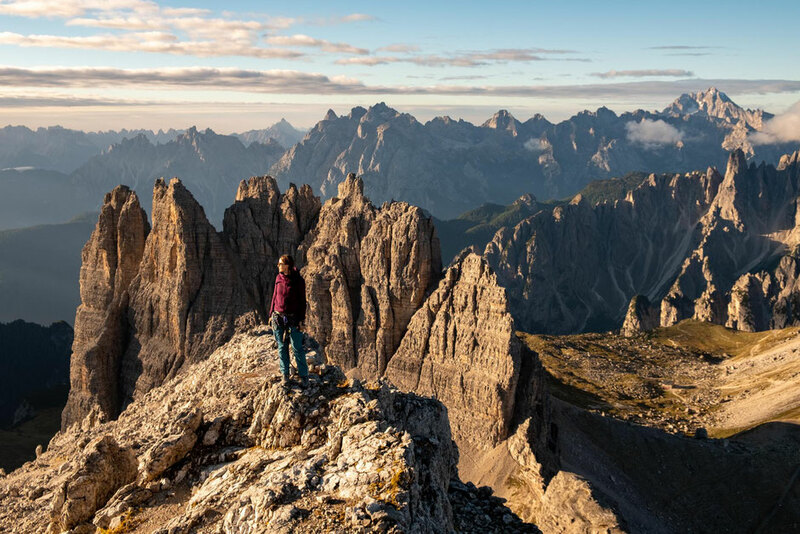 Once you make it to Forcella Lavaredo you need to retrace your steps along path 101 back to rifugio Auronzo, where you started. * Please note that the time provided in the basic info at the start doesn't include the time to get to rifugio Locatelli (the beginning of the ferrata) and to get back from forcella Lavaredo (the end of the via ferrata). The total time is around 6 hours. 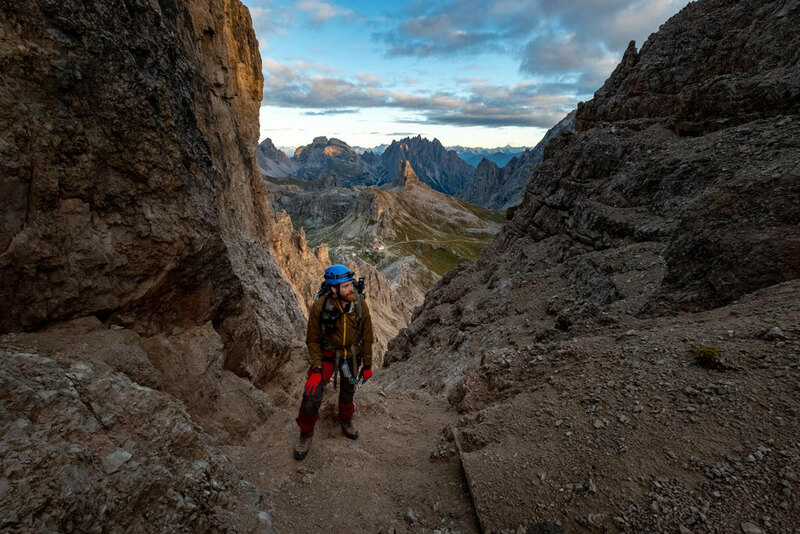 It's possible to do the via ferrata De Luca/Innerkofler in reverse, starting at Forcella Lavaredo and finishing at rifugio Locatelli. 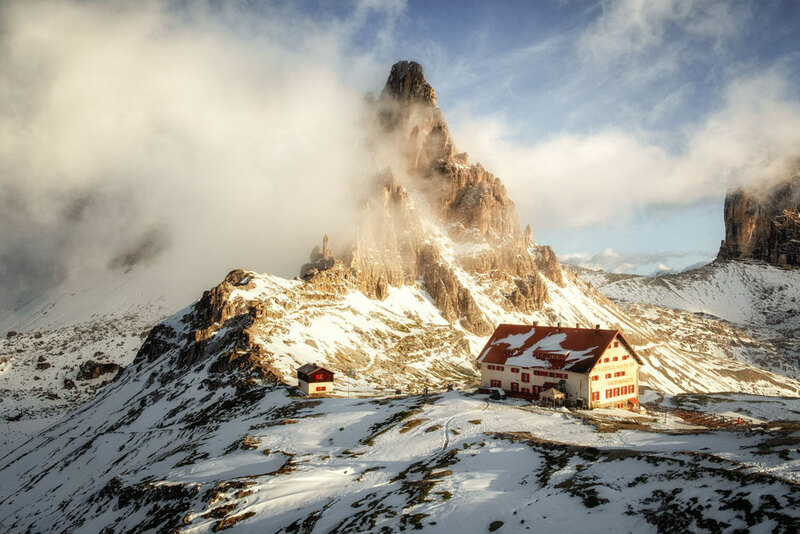 I also recommend staying overnight in the hut and tackling another nearby via ferrata Torre di Toblin the next day. 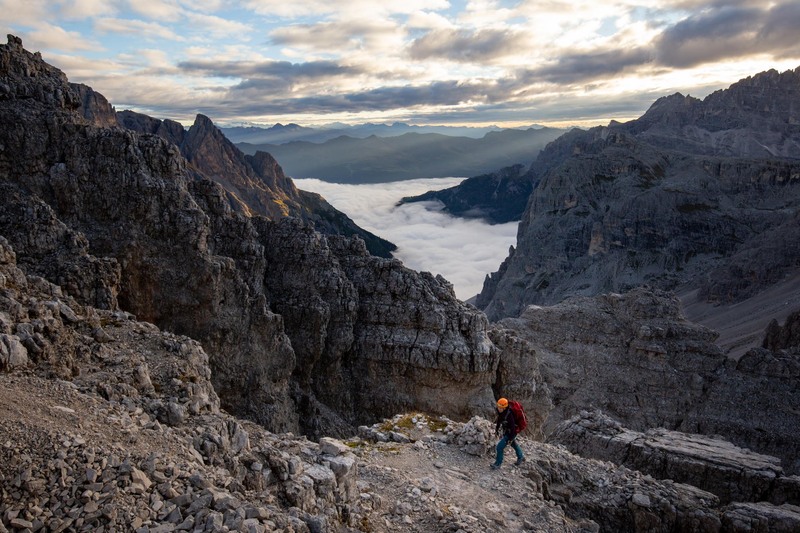 If you have any questions about this via ferrata or you are planning a trip to the Dolomites and you are seeking advice let me know in the comments below. I always answer.